Posted on December 30, 2012, in News, Scary Scribes and tagged audio book podcasts, Don Franklin, Greyhart Press, New England Horror Writers, Paranormal Eh? 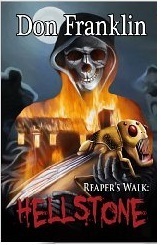 Radio, Reaper's Walk series, stories to read by the fire, urban legends. Bookmark the permalink. Leave a comment.